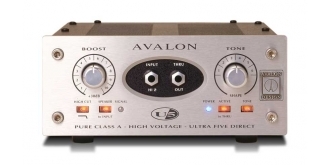 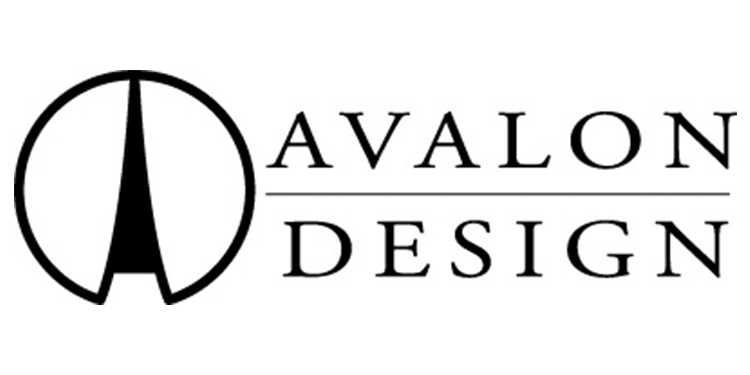 The Avalon U5 Pure Class A instrument DI & preamplifier is the most powerful direct box available today. 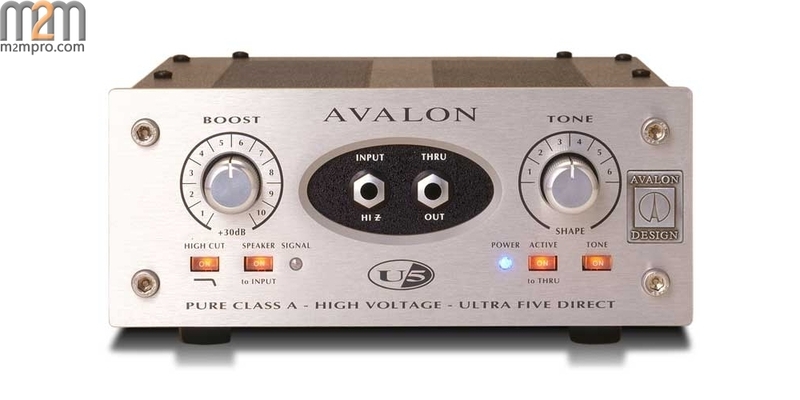 Designed to optimize absolute signal integrity and musical performance, the U5 includes many features and sonic excellence unequaled by lesser designs. 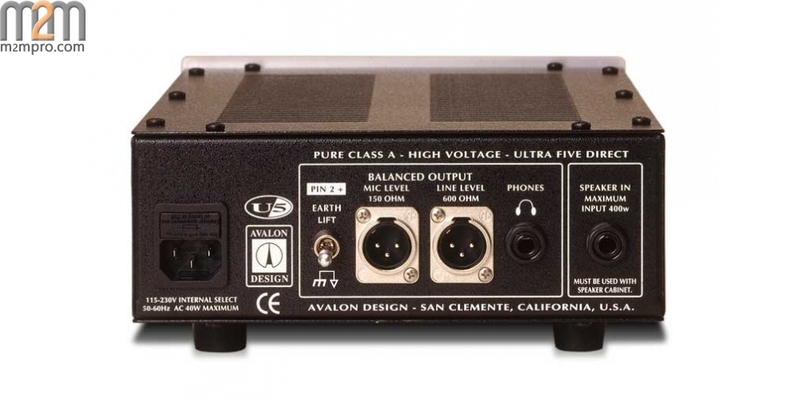 The U5 is ideal for bass guitar and acoustic instruments, electric guitars, keyboards, synthesizers and low output pickups. 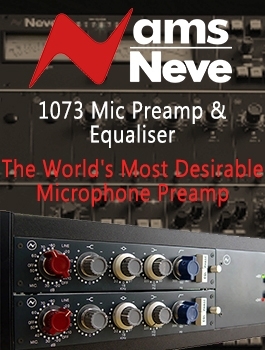 Features include state-of-the-art, high input impedance input stage for zero load effect on sensitive pickups and keyboards, 100% discrete, Pure Class A signal amplifiers, practical user features and rugged hardware designed to deliver true high performance audio for many years.